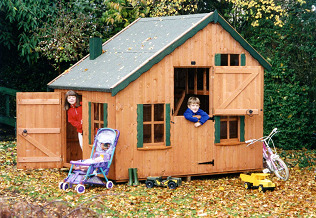 There are three different designs of playhouse available, you will be enchanted by the Sherwood Cottage with it's wooden staircarse, or the Castle Playhouse with it's unique lookout points and the Apex Playhouse which can be made with additional verandah. Any of the above will provide that special place for hours of fun the whole year round, with the additional benefit of storing all those toys and bikes. Prices start from £294 plus Vat, contact our office now on 01833 650274 for further details. 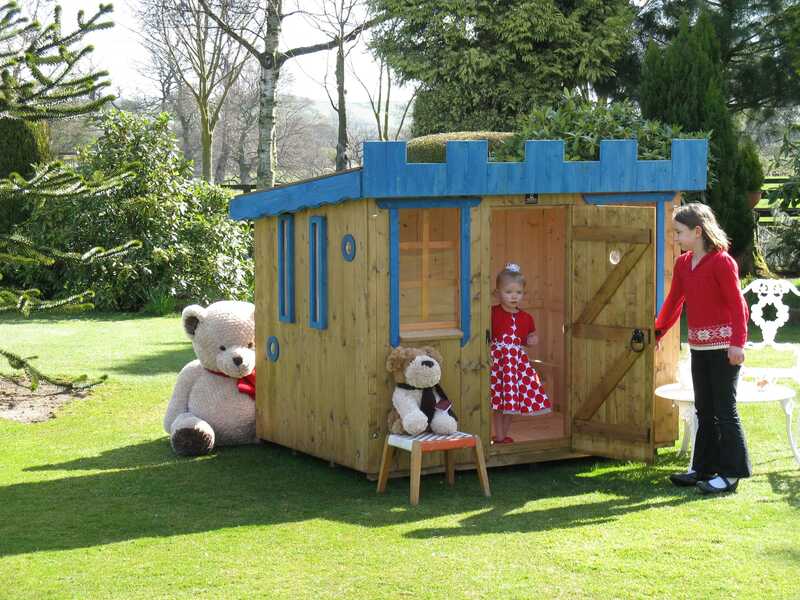 Most can be built in a variety of sizes to suit your own requirements. You are more than welcome to visit our display centre where you can see all three playouse designs on show together with various types of other buildings ie, summerhouses, garden rooms, workshops, garages. etc. We have over 60 buildings on display.